Click "More Details" above to hear samples. Continuing in the Lord's leading, Michael released this second solo project, filled with praise that will inspire and challenge you. Songs include the title track "Find My Way", "My Captain", and "Lovely". All 12 songs written and arranged by Michael Shamblin. Includes much of the inspiring music heard in the Weigh Down Advanced seminar, including "New Jerusalem" and "I Salute You (The Martyrs Song)." Also visit Michael's website at www.michaelshamblin.com or download mp3s in our Downloadable Music section!. 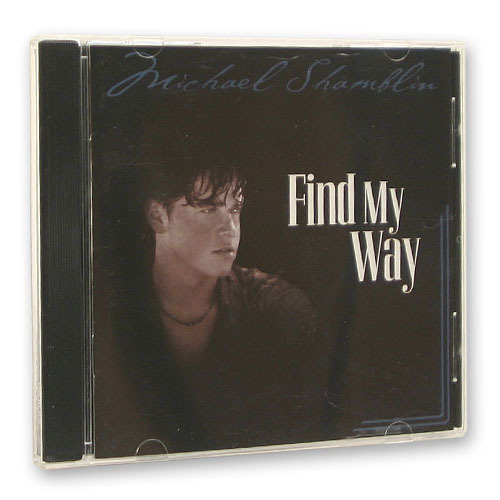 This CD from Michael Shamblin is one of his earlier works, and a real gem of sweet encouragement. Full of lovely harmonies that will infuse you with a sense of peace as you serenely thank God for a blessed life! This one Includes my daughter's favorite: "My Captain."